Please note there will be a complimentary frequent bus service running to Caol Ila throughout the day. Please watch this space for further details of this nearer the time. Except in special circumstances, there will be no parking on site. Come and watch the distillers at work, tending the six copper stills, while one of our guides knowledgeably takes you on our magical journey from barley to new make spirit. Followed by a nips and nibbles tasting assisted by our Flavour Map ambassadors. Times: 09:30, 11:00, 12:15, 13:00, 13:45, 14:30. Cost: £12.00 – 16 spaces. Ever wonder what a cask does on its day off from maturing marvellous spirit? How it recharges its batteries and springs backs to life? Come along and our Iain McArthur will give you an insightful look into this art and the magic that takes place inside the cask. This demonstration will be followed by a dram or two from our duty paid cask. Times: 11:00, 12:30, 14:00 and 15:30 Cost: £10.00 – 24 spaces. 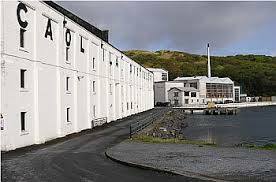 Mr. Caol Ila himself (Billy Stichell) presents some of the finest whiskies on the planet. Times: 10:00, 12:30 and 14:30 Cost: £20.00 – 40 spaces. Daily Premium tastings, twice daily following the tours, please contact the distillery to reserve your place. twice daily please contact the distillery to reserve your place – £12.50 per person. at 09:30, 10:45, 13:45, 15:15 – Cost £6.00.